Kayla Abramowitz is a 13 year old kid with a big heart who loves helping others. She created “Kayla Cares 4 Kids” to collect and donate entertainment and educational materials to hospitals. 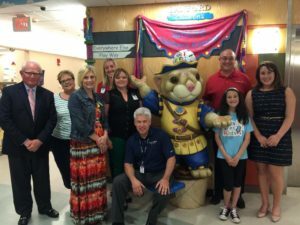 On Wednesday Abramowitz stopped by Sanford Children’s Hospital and the Ronald McDonald House to donate items. So far, her organization has donated over 6,000 items to hospitals in 45 states.